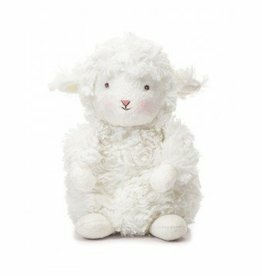 Wee lamb is small but mighty – mighty sweet, that is! Adorable shaggy furred pup in dark grey and cream with embroidered face. Size: 12". 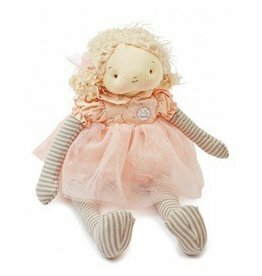 Lovable soft doll is a pretty sweet companion and happily reminds little ones what being pretty is all about. Sweet rattle makes a great add-on gift. Machine wash & tumble dry low heat. Size: 6"